Rather than blog out all of the technical details, I suggest you download the latest issue of the MagPi. This is one of my favorite magazines, and the 40th issue is one of the best ever. 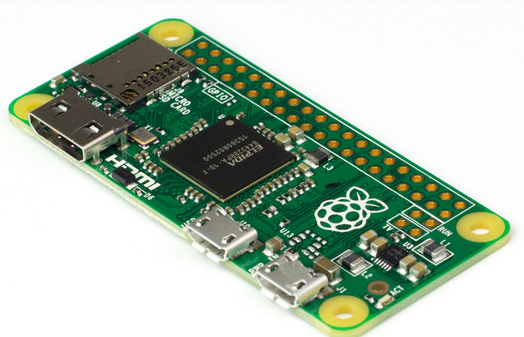 It contains everything you need to know about the new Pi. The fact anyone can purchase a computer with this power at a $5 price point says it all. I suspect this device will be more popular with hackers and makers than with schools, but this remains to be seen. Eben posted a video explaining the reasoning behind building a $5 computer. I am struck by his passion and dedication to the education of young people. His humbleness is striking. After a year of living in London, Mrs. Sopwith and I are now back in our USA home in the Los Angeles area. Our life in the US is more complicated than life in the UK. In London, we rented a small flat and used public transportation to get around. Life was so simple. Here is California, we have cars, a big house and lawn to maintain, insurance, taxes, utilities, and all the other headaches of living in the Western US. One of my biggest gripes about life in the US is the cost of mobile telephones and television. Ol’ Sopwith does not like to complain, but I have a strong belief that many companies in the US are committed to ripping off the unwary public. Take DirecTV for example. I have been a customer for 15 years. Five years ago, I upgraded my satellite dish and receivers to the digital package. My monthly bill is $110 USD for TV programming without movie packages or any other add-ons. To me, this is a lot of money. When I looked at my bill recently, I discovered they were charging me $26 in junk fees every month. I usually smell smoke when I wire up my electronic projects wrong; in this case I smell smoke from a greed driven satellite provider.